Knocked-out teeth, mouth wounds, and cracked teeth are all good reasons to find an emergency dentist near you as soon as possible. 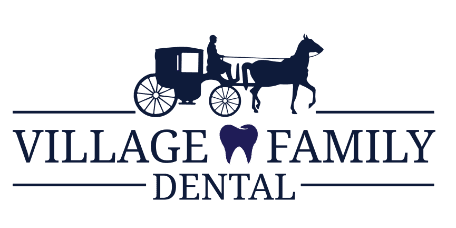 At Village Family Dental in Clemmons, North Carolina, the experienced team of dentists meets the emergency dental needs of everyone in your family. Call today at the first sign of a dental emergency. You can also use our convenient online booking system to schedule your appointment. What do emergency dentists do? Emergency dentists treat mouth and dental injuries that require immediate attention. Most dental emergencies are situations where you might lose a broken or knocked-out tooth for good if you don’t seek dental care immediately. Visit Village Family Dental within a half-hour of a severe mouth or tooth injury to increase your chance at saving your teeth. Is it a dental emergency? You might not be dealing with a dental emergency if you chip a tooth. But don't hesitate to speak with an experienced dentist at Village Family dental if you’re concerned about it. He’ll explain how to handle your tooth until you can visit the office. How should I handle a knocked-out tooth? If the knocked-out tooth cannot go back into the empty socket, hold it in your mouth next to your cheek or keep it in a glass of milk. Moisture helps prevent the tooth’s root from dying. Don't let a broken or knocked-out tooth prevent you from enjoying your smile. Take advantage of Village Family Dental’s emergency phone line and emergency walk-in appointments, for expert assistance in the event of a dental emergency.